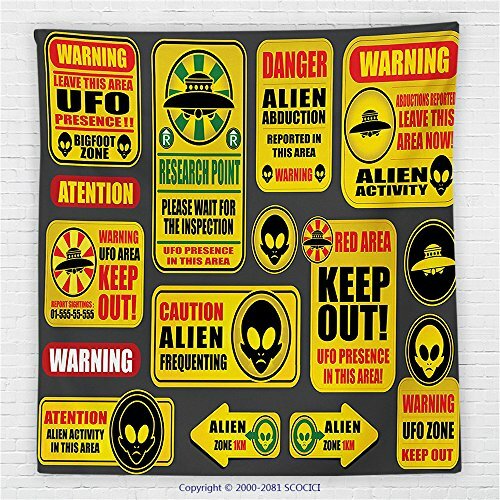 59 x 59 Inches Outer Space Decor Fleece Throw Blanket Warning Ufo Signs with Alien Faces Heads Galactic Paranormal Activity Design Blanket Yellow by iPrint at UtopyaCon. MPN: MTF6212074S150X150. Hurry! Limited time offer. Offer valid only while supplies last. Comfortable Supersoft Throw Fleece Blanket: it's warmer and thicker than the traditional fleece blanket while still producing a high-quality image.